Upcoming 2017 Safety Conference and Expo Events -- UPDATED! Upcoming 2017 Safety Conference and Expo Events — UPDATED! Our 2017 calendar is beginning to fill up with speaking engagements at a number of safety conferences during the first quarter! We’ll be updating this page as we get more details on each event, so check back often! The North Dakota Safety Council 44th Annual Safety & Health Conference will be held Feb 20-23 in Bismarck, ND. Eric Svendsen of safetyBUILT-IN will be presenting multiple sessions at this conference, and safetyBUILT-IN will be operating a booth. Visit us at booth #517 on the Expo floor! Learn more about how to register for this event here! 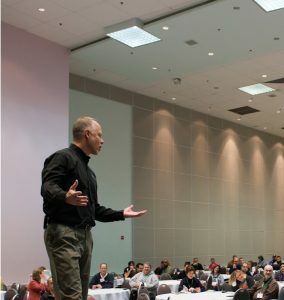 Ohio Safety Congress and Expo 2017 will be held March 8-10 in Columbus, OH. Eric Svendsen of safetyBUILT-IN will be presenting multiple sessions at this conference, including a post-conference session, and safetyBUILT-IN will be operating a booth. Visit us at booth 833 on the Expo floor! Learn more about how to register for this event here! BLR 4th Annual Safety Culture 2017 will be held April 3-5 in Austin, TX. Eric Svendsen of safetyBUILT-IN will be presenting multiple sessions at this conference, including a pre-conference session. Learn more about how to register for this event here! Be sure to check back often for updates on all these events and more!